Peter is so kind and helpful person. Treats are wonderful and tasteful. The location of the apartment is very close to the center. The atmospher of the building is amazing. Landloard helped with luggage and picked us up at train station at his request, very accommodating.Very spacious apt. We had such a pleasant stay. The host, Peter, was flexible with our arrival time since a few family members traveled by car. The apartment met our expectations and is as shown on the pictures. The beds were already prepared and made. The apartment is neat, clean, and fully equipped to have a comfortable stay. The building is absolutely beautiful. 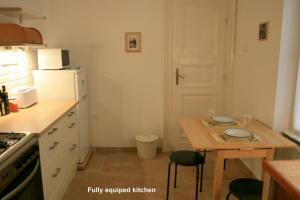 We were in general very impressed by Budapest and that counts for our stay at this Brody apartment. The apartment is located very central. We are certainly coming back to Budapest and will certainly stay again at this apartment. Appartamento pulito, ordinato e spazioso, ideale per 2/4 persone. Cucina piccola ma fornita di tutto. Il gestore dell'appartamento gentile, puntuale e disponibile. Parla anche un po' di italiano che non guasta. Ons verblijf bevond zich op wandelafstand van het bruisende centrum van Boedapest. Het appartement was heel hygiënisch, ruim en bevatte alle nodige faciliteiten (wasmachine, oven, microgolf, kofiezet, etc.) De gastheer was vriendelijk en enorm behulpzaam, hij heeft ons zelfs geholpen met het in- en uitladen van onze koffers en het zoeken van een (bewaakte) parkeerplaats. Bovendien had Peter bij aankomst wat fruit en een wijntje klaargezet wat wij zeer attent vonden. Daarnaast kon de gastheer vloeiend Engels, waardoor we geen last hadden van de taalbarrière. Een echte aanrader voor gezinnen die willen genieten van het historische, mooie en romantische Boedapest! Vår värd väntade på oss trots en något sen ankomst från oss under natten. I lägenheten fick vi en grundlig information och en fin frukt/choklad-korg med en flaska rött väntade på oss. Vi saknade inget då det fanns allt man behöver i ett hem och för att få känna sig hemma! Kommunikationen med värden var utmärkt och han var även flexibel vad gäller utcheckning då vi flög sent på kvällen. För vår familj med 2 tonåringar och en 7,5 årig barn kändes boendets läge och storlek som jättebra och passade på alla sätt. Närheten till mataffärer, SzimplaKert, promenadavstånd till Gellert-hegy och tunnelbanestationer gör det enkelt att turista och koppla av. Husets höga takhöjd, fina innegård och breda trappor i huset gav oss alla en wow-känsla. jo, det blir fler besök till Budapest och till PeteRooms!! Tolles Ambiente. Äusserst zuvorkommender und freundlicher Gastgeber. Gerne wieder. Das Appartement war sehr ruhig trotz der zentralen Lage. Wir hatten den Shuttleservice des Wohnungsvermieters vom und zum Flughafen in Anspruch genommen und waren mit der gesamten Abwicklung sehr zufrieden. Viele Restaurants in recht kurzer Entfernung, tolles kleines Cafe nebenan für ein kleines Frühstück. Nous avons tout aimé. En premier, notre hôte qui est venu nous chercher à l'aéroport (25 euros) et qui nous a reconduit à la gare gracieusement où nous devions partir vers une autre destination. Nous avons également apprécié son accueil et ses attentions. En second lieu, le logement est parfait: il est bien équipé et situé au calme à proximité de commerces, des marchés si typiques et du métro. Pour résumer, toutes les conditions étaient réunies pour un séjour parfait. Die Wohnung ist, obwohl mitten in der Stadt, sehr ruhig. Peter war sehr freundlich und hilfsbereit. Lock in a great price for PeteRooms - Brody – rated 9.3 by recent guests! 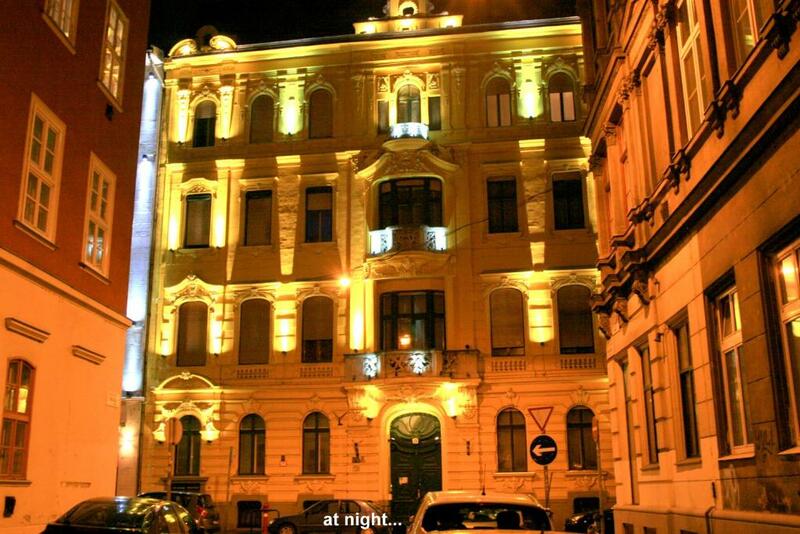 Located 4.3 feet from the State Opera House, 5.2 feet from the Gellért Baths and Spa and 1,500 feet from Corvin Plaza, Brody Apartment in Budapest offers self-catering accommodations located in Budapest. The Great Market Hall is 0.6 mi away and St. Stephen's Basilica is 0.9 mi from the property. 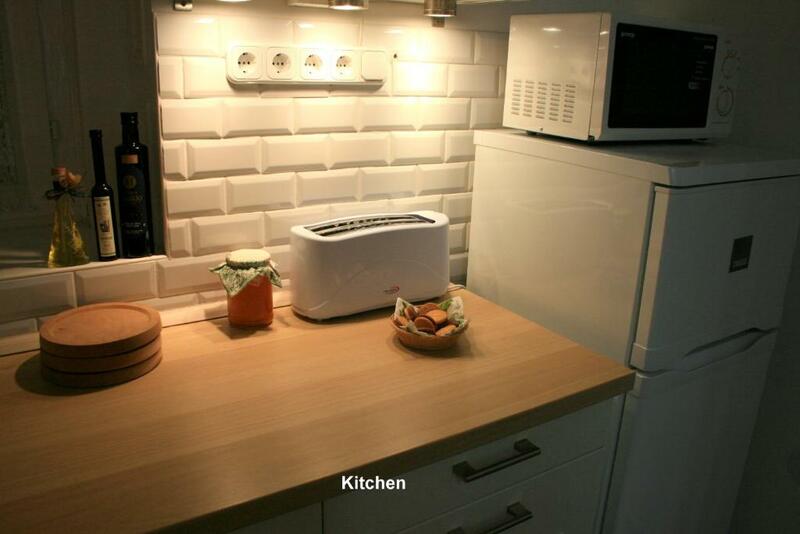 The apartment features a patio, a seating area with a sofa and cable TV, a kitchen with a dining area ad a bathroom with a shower, a bathtub and a hairdryer. A restaurant and a bar is a 5-minute walk away. The Danube is 0.6 mi away and the Hungarian National Museum is 1,000 feet from the property. The metro line 3 stops 1,000 feet away and the tram lines 4 and 6 stop 1,500 feet away. Keleti Railway Station is 0.9 mi from the apartment and Budapest Airport is located 9.9 mi away. 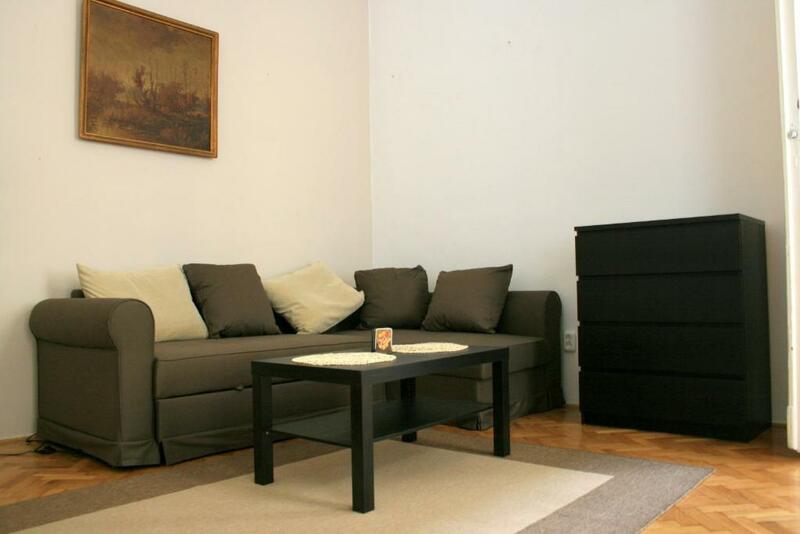 뀐 Located in the real heart of Budapest, this property has an excellent location score of 9.3! When would you like to stay at PeteRooms - Brody? 65 sqm of space ensures all guests have comfort and privacy. Ideal for family holidays or a weekend break. 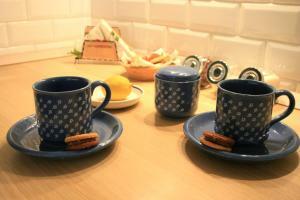 We provide free tea, coffee for all our guests and a special Welcome package. Washing machine, Wireless High Speed Internet, Cooking facilities, Hair dryer, Towels and Bed linen, Parking facilities, City maps and tour guides. 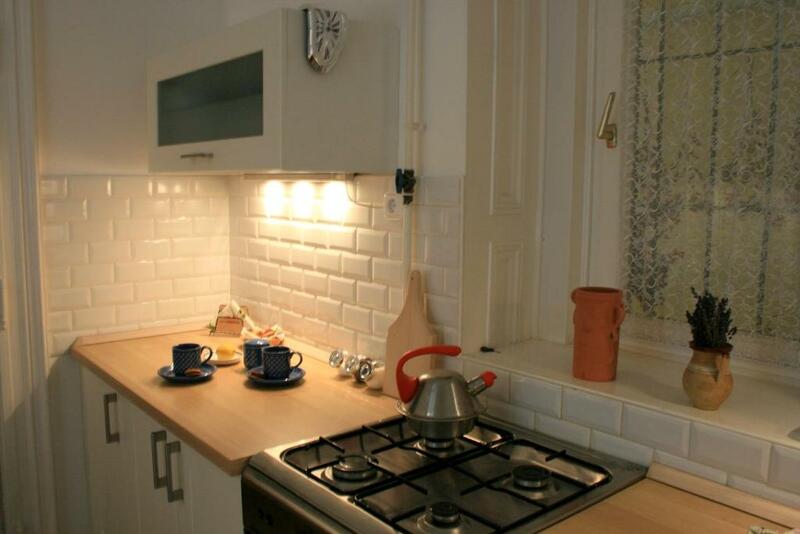 The apartment is perfectly located near Astoria and Kalvin tér metro stations. All of the famous Ruin Pubs are minutes away, many restaurants, museums, galleries, designer shops, Jewish cultural institute, antiquities around the neighborhood. 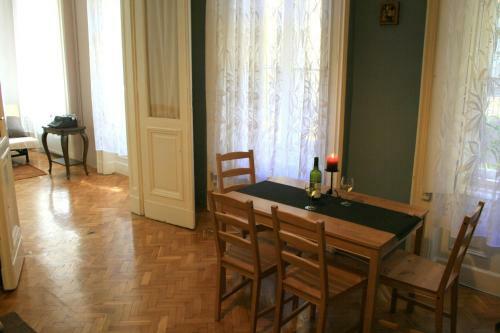 The apartment is a perfect base from which to explore the wonderful city of Budapest. House Rules PeteRooms - Brody takes special requests – add in the next step! Please inform PeteRooms - Brody of your expected arrival time in advance. You can use the Special Requests box when booking, or contact the property directly using the contact details in your confirmation.